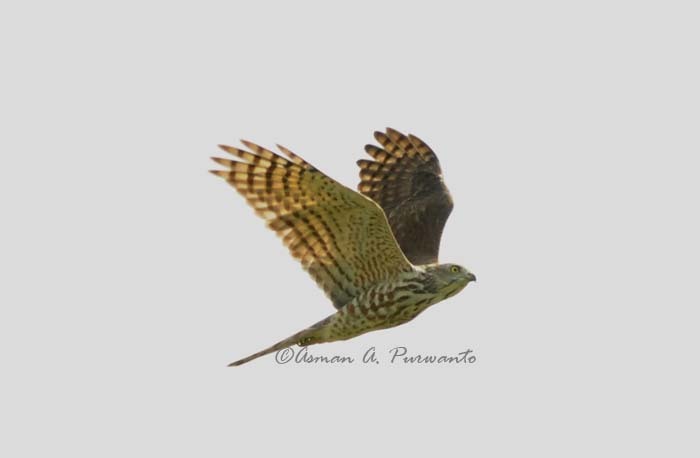 The Shikra (Accipiter badius) is a small bird of prey in the family Accipitridae found widely distributed in Asia and Africa where it is also called the Little Banded Goshawk. 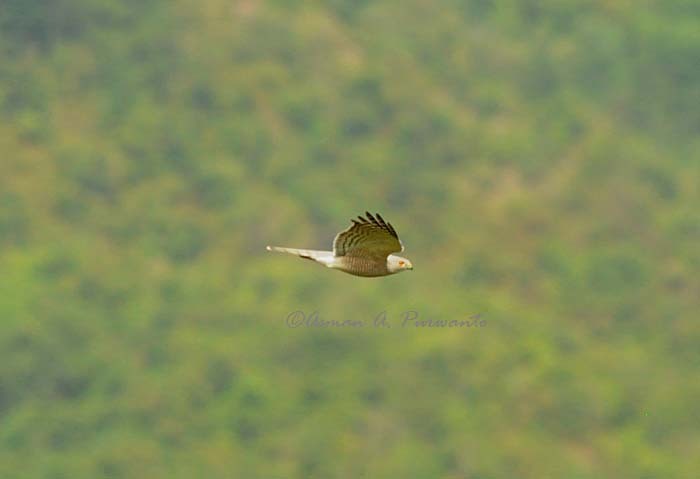 The African forms may represent a separate species but have usually been considered as subspecies of the Shikra. 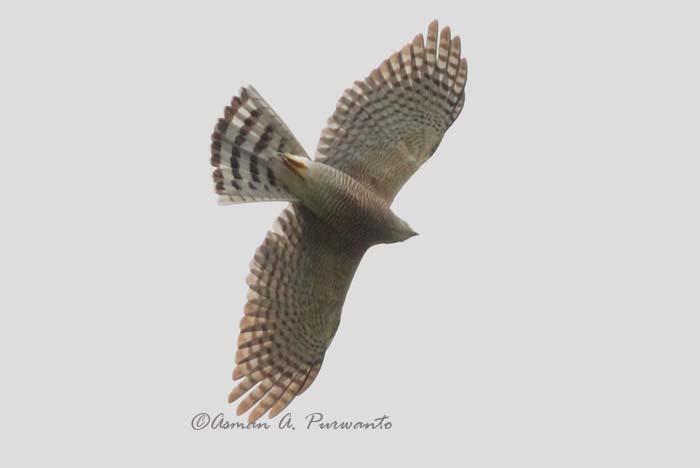 The Shikra is very similar in appearance to other sparrowhawk species including the Chinese Goshawk and Eurasian Sparrowhawk. 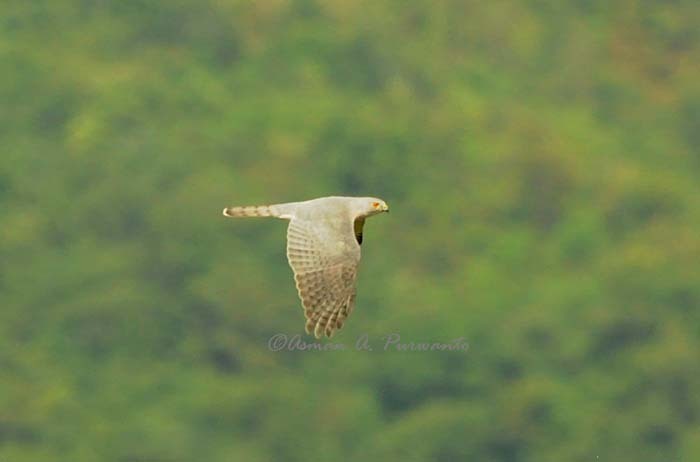 The Shikra is a small raptor (26–30 cm long) and like most other Accipiter hawks, this species has short rounded wings and a narrow and somewhat long tail. 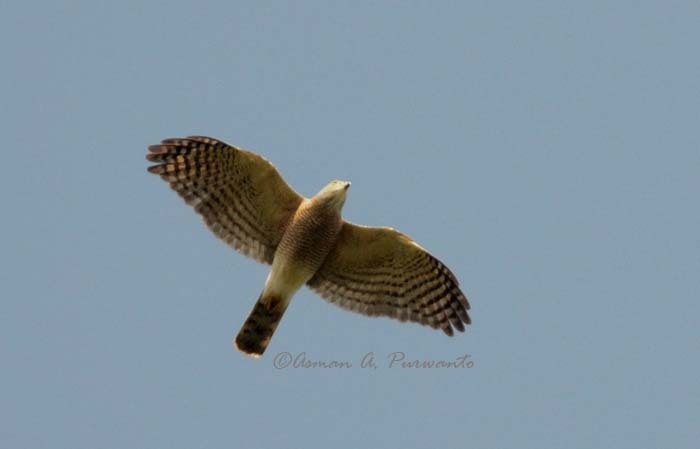 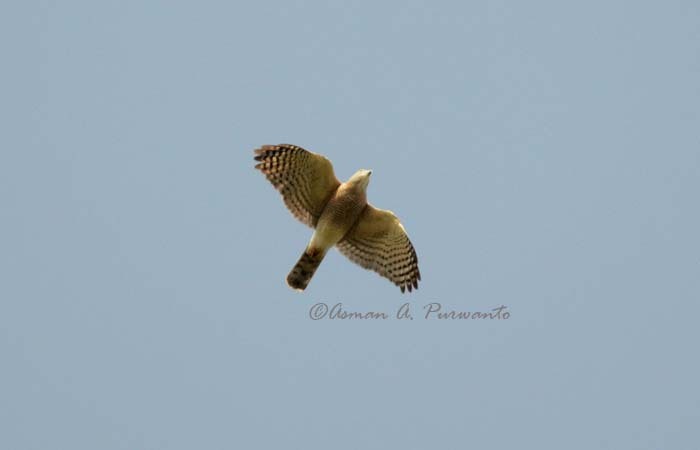 Adults are whitish on the underside with fine rufous bars while the upperparts are grey. 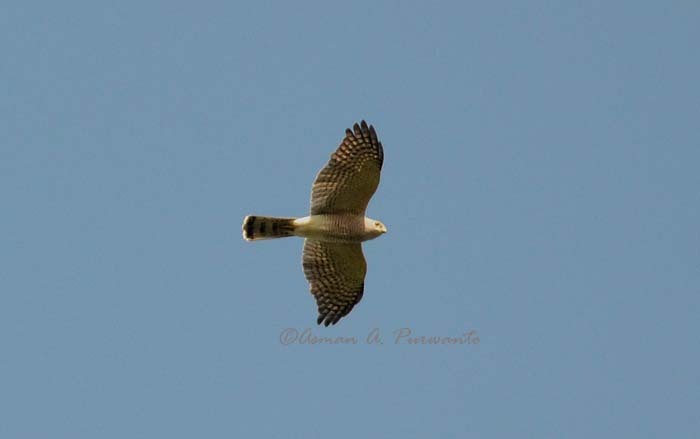 The lower belly is less barred and the thighs are whitish. 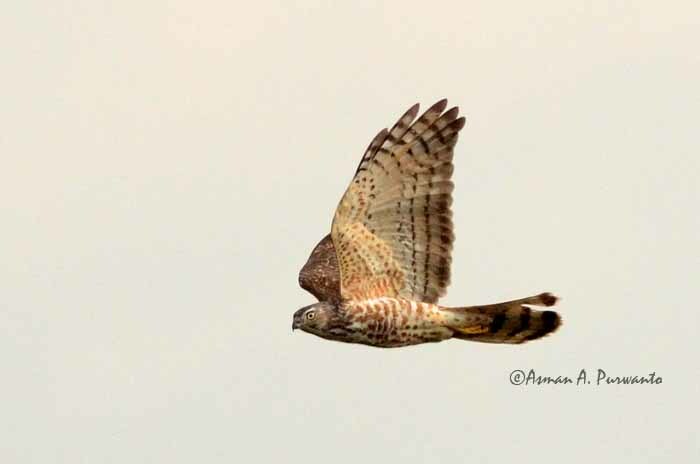 Males have a red iris while the females have a less red (yellowish orange) iris and brownish upperparts apart from heavier barring on the underparts. 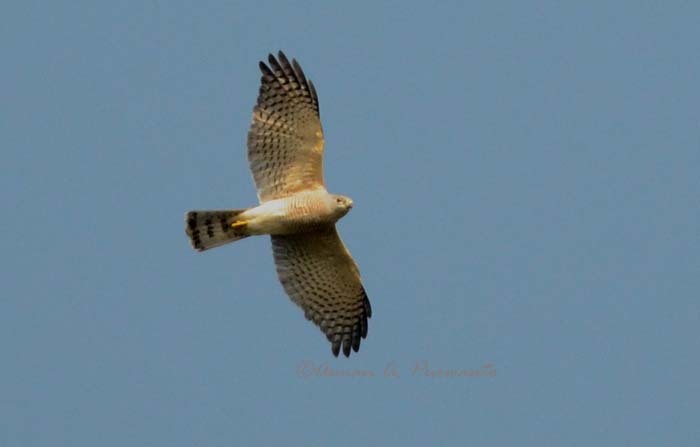 The females are slightly larger. 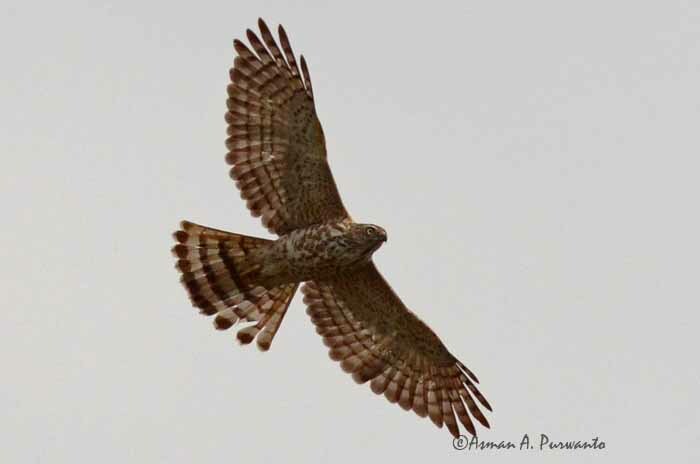 The mesial stripe on the throat is dark but narrow. 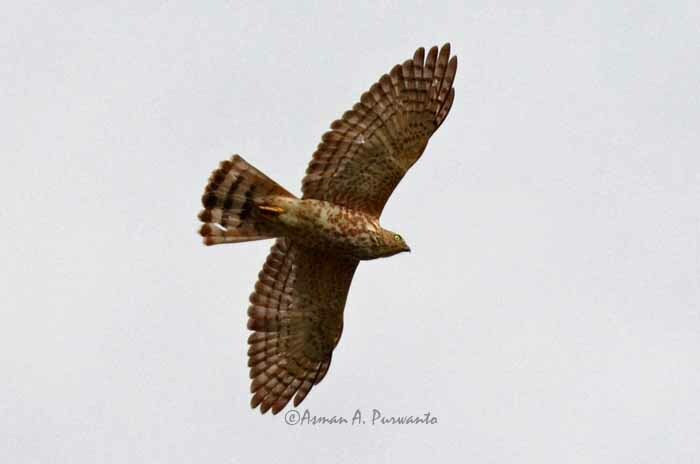 In flight the male seen from below shows a light wing lining (underwing coverts) and has blackish wing tips. 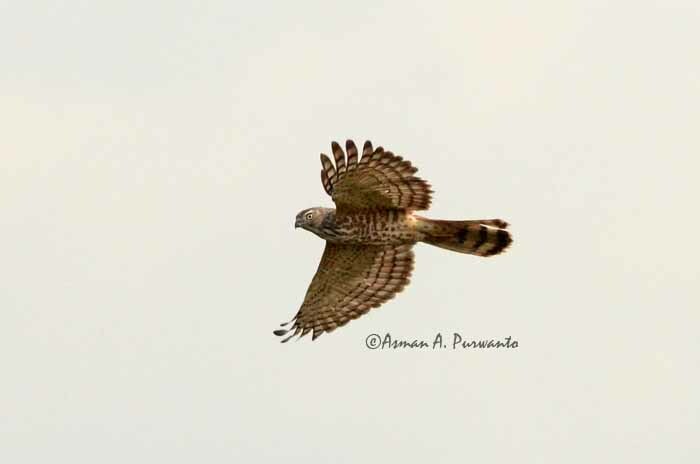 The central tail feathers are unbanded and only have a dark terminal band. 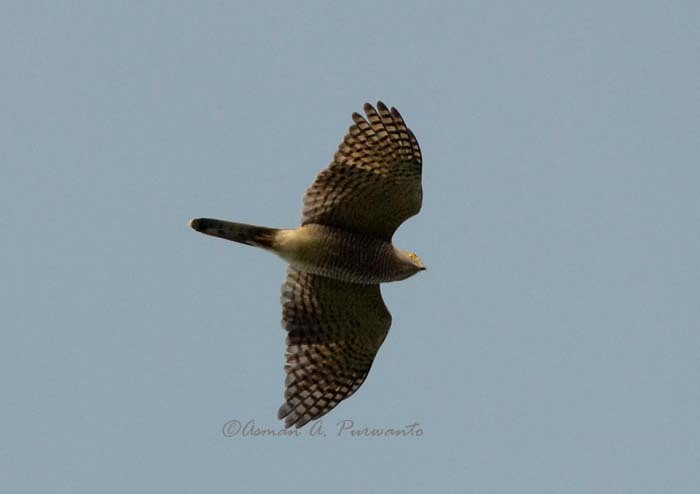 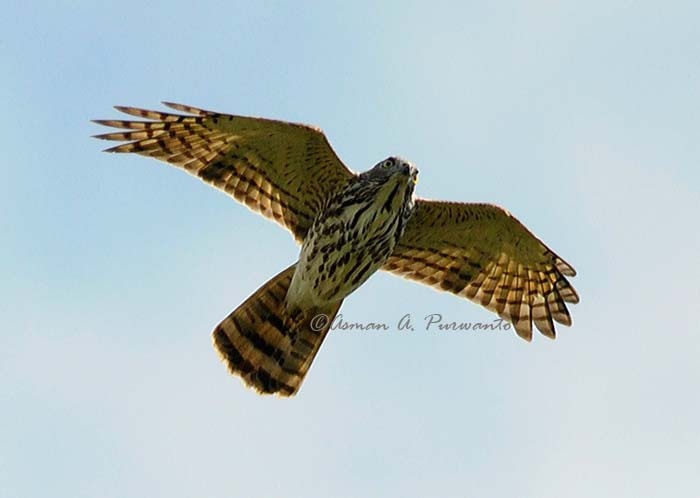 Juveniles have dark streaks and spots on the upper breast and the wing is narrowly barred while the tail has dark but narrow bands. 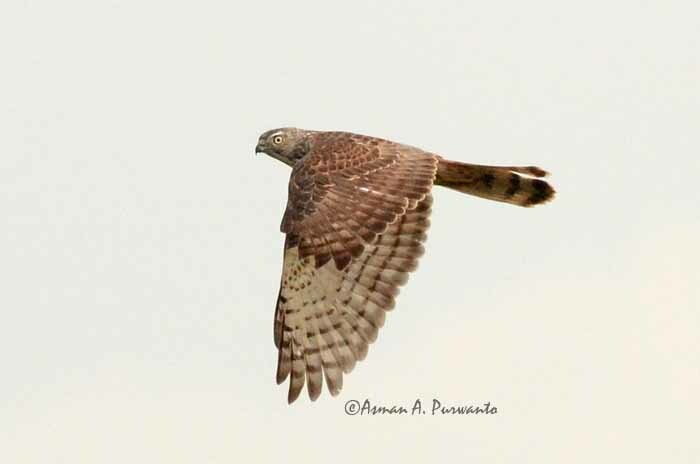 A post juvenile transitional plumage is found with very strong barring on the contour feathers of the underside.